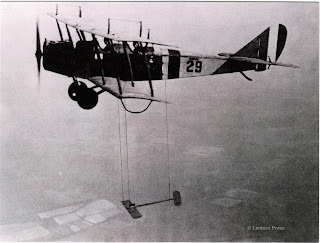 The postcard shows a Curtiss JN-4 Jenny aircraft with model wing suspended at Edwards AFB, CA in 1921. 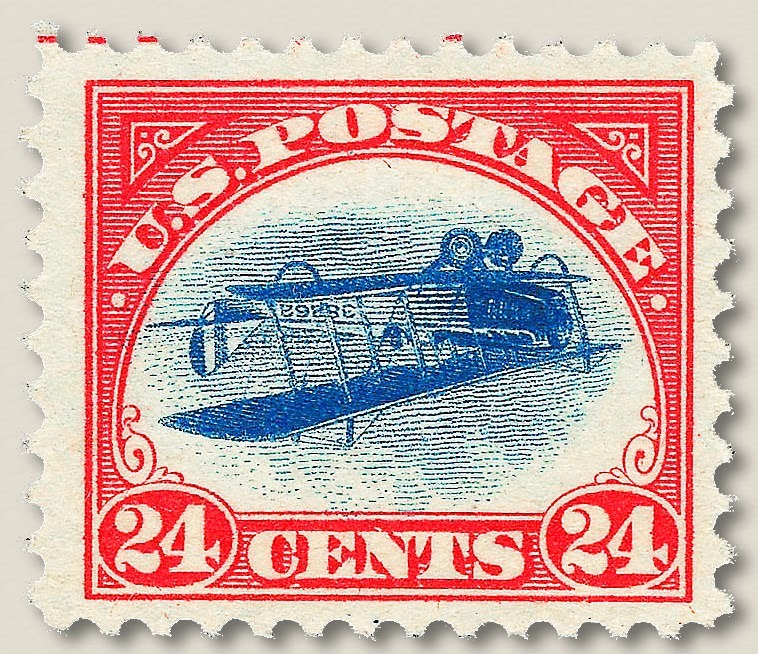 The Curtiss JN-4 was the type of aircraft used in the first air mail flight, and was featured in the 1918 24-cent stamp with printing error showing an illustration of the plane upside down. The U.S. 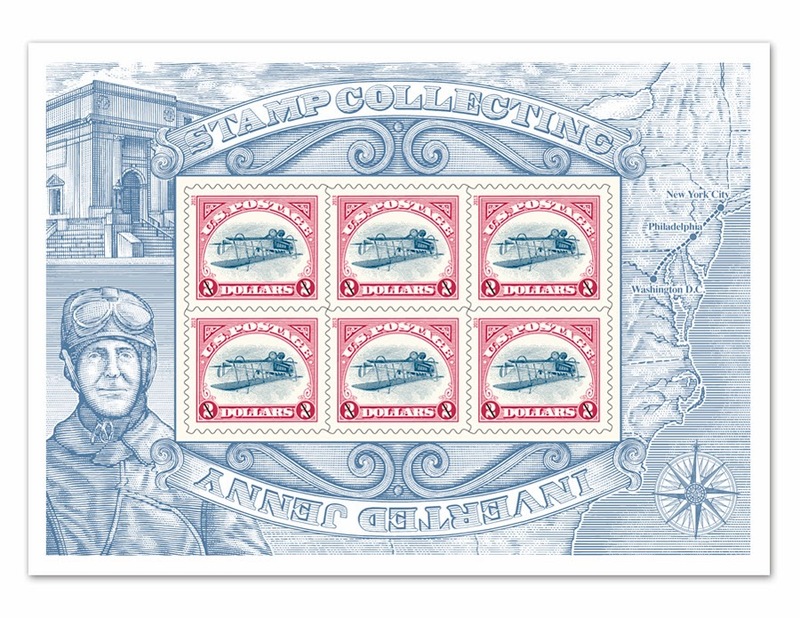 Postal Service is re-issuing 2 million of the “Inverted Jenny” souvenir stamps today to mark the opening of the Smithsonian’s William H. Gross Stamp Gallery that hosts the world’s largest stamp collection. 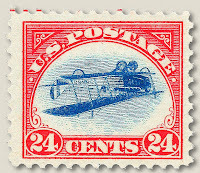 The reissued Inverted Jenny has a face value of $2, in mini-sheets of six with a decorative border. 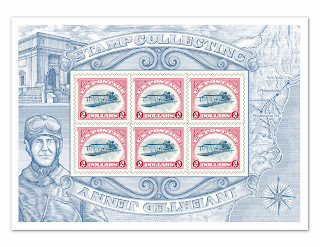 Since the post offices near me do not open on Sundays, I will have to wait until tomorrow to buy the stamps. The postcard is available for purchase at Zazzle.com. Update: the postcard was later sent to Poland as US-2509925.